✅ Trip Verified | Hey DTW, I know it's hard to believe, but there are airplane flights that take place after 9PM. So arriving at the North Terminal as flights are delayed until 11PM, yet every single restaurant and bar in the North Terminal closes at 9 does not make for happy travelers. That plus the lack of places to charge one's phone equals a big thumbs-down. 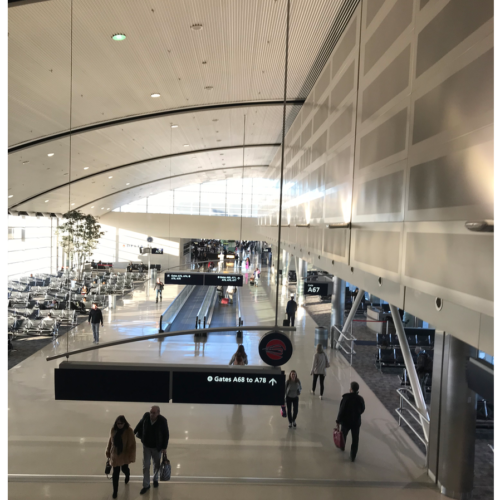 "not hard to be parent/child friendly"
Not Verified | My 2.5 year old son and I flew from Detroit to Greenville 12/25/2018 with Delta airline. I knew going in that DTW would be even busier with it being Christmas. When I got inside, the check-in kiosk for Delta did not recognize any of my information. This occurred in Greenville when I flew to Detroit on 12/21/18. I stood in a very long line for 30 minutes before reaching the check-in agent. The check-in agent could not help me at all and said I needed to go stand in "a special line." So, I go and I stand in another line, this time for maybe 15 minutes. Remember, I have a toddler, a car seat, and a carry on bag I am trying to handle by myself. This special check-in employee was able to check me in. Apparently because I had a minor flying with me, that is why the kiosk would not allow me to check-in. Then I was told that while they could check the car seat for free under Delta policy, I would need to walk to the other side of the Delta check-in terminal and place it with the oversized luggage. Now I had to walk across the terminal to drop the car seat off and then walk all the way back to the other side I started at in order to go through security. Again, remember that I am one adult trying to manage a car seat, a toddler, and a carry-on bag. I finally get back to the other side of the check-in terminal and to domestic security check. Thankfully we were able to get through security rather quickly. Then you have one TSA agent who was literally having almost every bag in his line be checked. I had a back pack and a carry-on that needed to be checked, which means additional wait time because only one person was there going through items. I know TSA has to do their jobs, but this agent was flagging almost every bag going through (I watched him with the bags before and after ours). Yes, I had toys from Christmas morning we were trying to get home to SC. I have flown in and out of Detroit numerous times to visit my family in MI. I have never experienced such frustration and utter anger with Detroit as I did yesterday. Dtw is not made for parents who are flying solo with a child, plain and simple. There are no courtesy strollers or luggage carriers with a child seat attached. When I expressed my frustration to a Delta agent about being a solo parent trying to fly with a minor and being told to wait and then walk all over the airport, all I got was backlash about how everyone has to do it. It is not hard to be parent/child friendly. "I really like this airport." ✅ Trip Verified | Overall I really like this airport. Easy to get to and easy to navigate. However, I am traveling today and at the security checkpoint I encountered two especially nasty workers. One woman was taking the boarding passes and DL’s. She mumbled something and I was next in line. So I asked if I should come to her. She rolled her eyes and repeated “next in line” with a sarcastic tone. Why so nasty? I did nothing offense. The next worker was another woman telling people to take shoes off and stay with your belongings until they go on the conveyor to be x-rayed. She apparently was tired of saying take your shoes off, so she mumbled (loud enough for everyone to hear) “I am apparently just talking to myself”. While these incidents may not seem like a big deal, they do reflect on the airport and set the tone for people’s trips. If you don’t like your job find another. ✅ Trip Verified | It's a very modern airport that is ready for possible extensions. 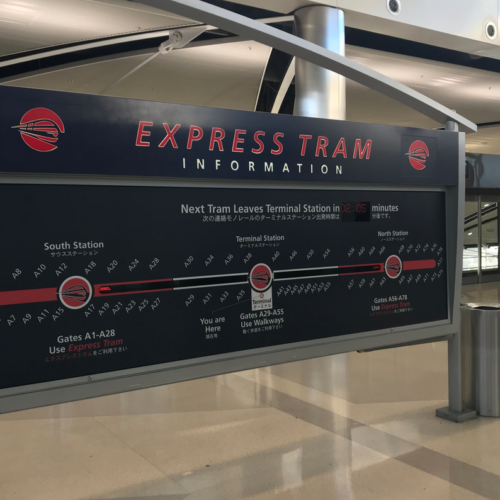 The tram in the McNamara terminal makes it very easy to move in the terminal. The airport is very spacious, enough seating and plenty of restaurants and shops. There is also free WiFi that works well. Not Verified | Airport or overpriced shopping mall? I travel quite frequently for work and Detroit Metropolitan Airport (DTW) is one of the most ridiculous places I transit. This airport seems to consider itself some sort of luxury shopping experience instead of a place to board or change airplanes. Walking through the airport you will notice large selection of expensive name brand stores and high priced restaurants. You will also notice a sever lack of quick and useful concessions. I can't speak for all travelers, but I myself rarely have time during my 1 hour connection time to have a nice sit down dinner at PF Changs and then do some browsing at Swarovski Crystal. What I do have time for is to stop at a food concession that will have my order ready in a reasonable amount of time and maybe for a nice cup of coffee. Neither of these is a possibility at DTW. The severe lack of of basic food/beverage concessions is appalling. Any concession that would be considered "quick" is never quick in DTW. The biggest reason is because of the lack of options the lines at the "quick" places is often out the door and these places are generally understaffed. On example is the Starbucks located in the A terminal. There are 2 Starbucks for 76 gates, each staffed with 2 under motivated individuals. I have seen lines with over 20 people in them while not surprisingly the Hugo Boss store next door is completely empty. 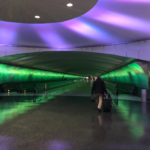 Detroit Airport needs to figure out its true purpose. The purpose of an airport is to provide paying passengers the opportunity to get a bite to eat and a coffee while attempting to make a connection that has most likely been reduced because of weather or some other reason. It is not to sell MAC cosmetics and running gear. "No help for the handicapped"
❌ Not Verified | No help for the handicapped at this airport. The disaster started with a 40 minute wait for my arriving plane to get a gate for us to debark. In 60 years of flying, in airports all over the country, I've never had to wait more than 10 minutes for my plane to get a gate. Then finding that my connecting flight was in another building and I would "just have to go downstairs, through the tunnel and upstairs to the other gates," the gate clerk scoffed at me when I said that would take 40 minutes with my arthritic knees. He didn't offer transportation, I had to ask for it. Apparently there are no golf carts or trolleys for the mobility disabled at the airport, as there are in every other airport I've visited. He ordered a wheelchair, which took 20 minutes to arrive. In spite of everyone's assurances that I would make it, the plane left without me when I was only a gate and a half away. No one ever attempted to contact the departing gate to let them know that a crippled passenger was trying desperately to get there on time. Other than the wheelchairs, which are slow and take an inexcusable amount of time to arrive, this airport makes no attempt to accommodate mobility handicapped persons. 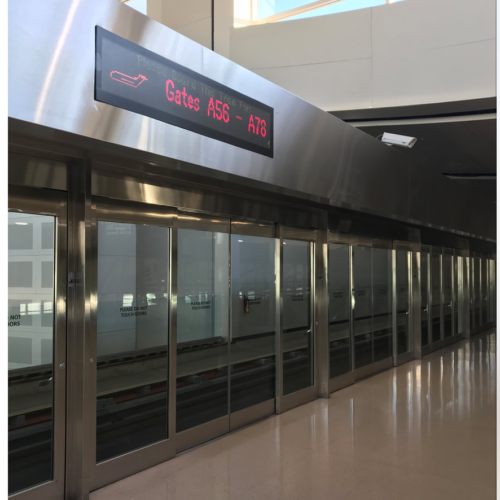 There were no electric carts traveling the length of the interminably long tunnel between C and A terminals, and none that I could see at gate level either. Again, something I've seen in all but the smallest airports. This is not a place a mobility disabled person would want to travel through. ❎ Not Verified | Detroit airport is by far the worst airport I have ever been to. Not only are none of the flights on time but the gate for your flight will change at least once and flights are delayed by 1 or 2 hours. Avoid this airport at all costs. This is not an airport you want to experience. 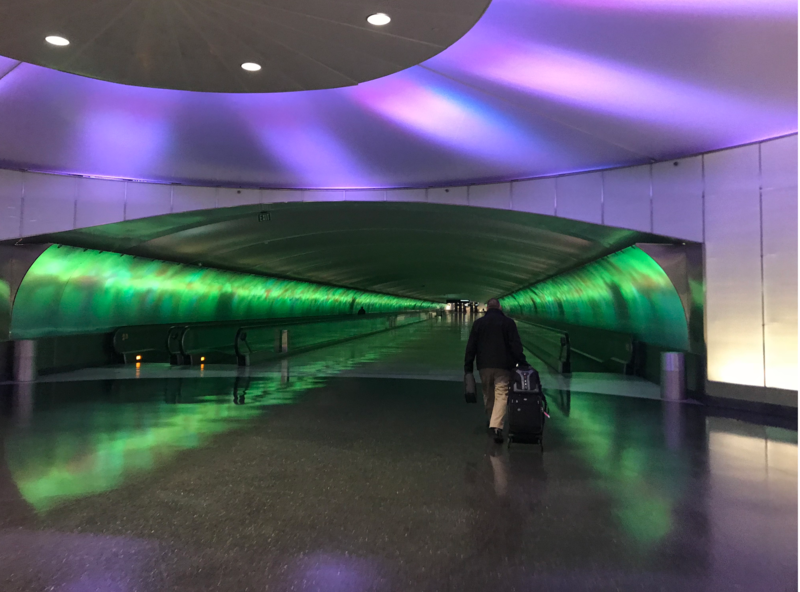 "DTW is a grand airport"
✅ Trip Verified | DTW is the unparalleled airport success of the Midwest. The McNamara Terminal is beautiful and architecturally stunning and always clean. There are multiple TSA queues, allowing for quick terminal access, even on international departures. Food options are really strong here (any airport with a Chick-Fil-A is worthy of an award), and as far as I could tell, the shopping options were solid. Gate seating is plentiful, and DTW is a grand airport.